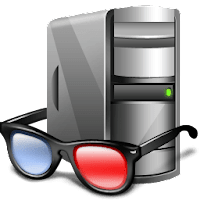 Speccy is a fast, lightweight, advanced system information tool for Windows, that developed by Piriform, the maker of CCleaner. The program will show you a detailed statistics of what kind of hardware is present in your system and how it is being used. It's including CPU, Motherboard, RAM, Graphics Cards, Hard Disks, Optical Drives, Audio support. Additionally Speccy adds the temperatures of your different components, so you can easily see if there's a problem! Furthermore, It allows you to save your scan results directly as a snapshot, XML or text file for easy sharing. Handy for making sure your new computer has the right specs, or if tech support needs to diagnose an issue with your computer. Speccy is offered in three editions: Free, Professional and Business. Disclaimer: Direct downloads for the lastest version of Speccy 1.32.740 are provided by the official software's author, we can't guarantee safety, availability or download speed. Moreover, we don't and we won't provide any pirated/illegal versions or tools. We recommend you to avoid it as these methods can harm your device. If you like the software, buy it to support the developers. (We provide software discounts for many worldwide brands).